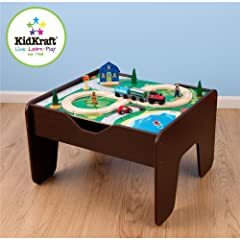 Toddlers will have hours of fun with these train tables. 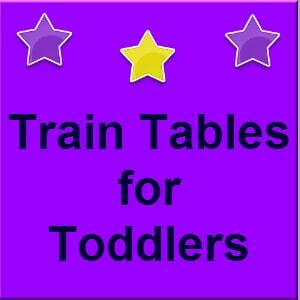 Make up the table and trains and your toddler will use their imaginations to play. 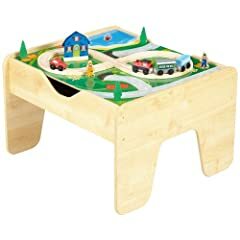 Train tables come in all different shapes and sizes you choose you price point and size suits you best. 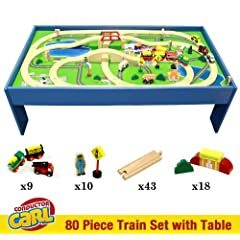 Conductor Carl 80 Piece Train Table and Playboard Set. 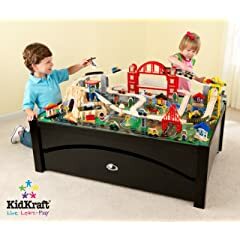 100% Compatible with Thomas the Train and Brio. 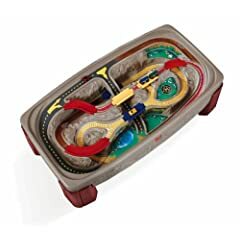 Plus FREE Conductor Carl Train.